Celgene’s collaboration with Dragonfly Therapeutics is less than 18 months old, but the pharmaceutical company is already expanding the alliance. Celgene (NASDAQ: CELG) is paying Waltham, MA-based Dragonfly $50 million upfront to add four more drug targets to the four covered by the original partnership last year. Celgene has the option to license and further develop those drugs. Depending on the progress, Dragonfly would receive milestone payments as well as royalties from sales. The original deal, announced in mid-2017, paid Dragonfly $33 million upfront and covered the discovery and development of up to four blood cancer drugs produced by the startup. Dragonfly has technology which develops immunotherapies based on natural killer cells (NK), a type of immune cell. The expanded deal adds solid tumors to the collaboration. The companies have not said how close any of the experimental immunotherapies are to starting clinical trials. 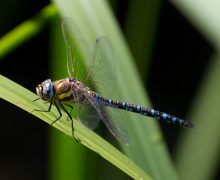 Here’s more on the origins of Dragonfly and its approach to cancer drug development.